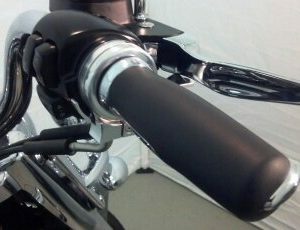 Slides over and mounts to the outside of a 1 3/16” to 1 3/8” dia. grip. 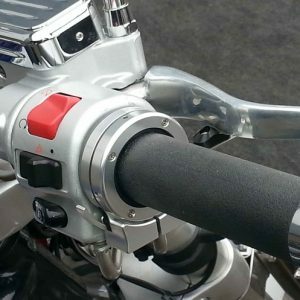 Covers the rubber grip flange on some models listed. 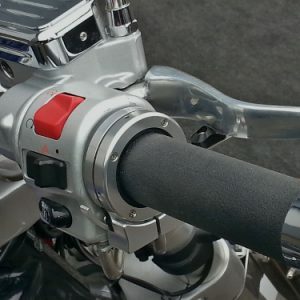 (up to 1.890” diameter flange, rests against the rubber grip flange on larger diameter). 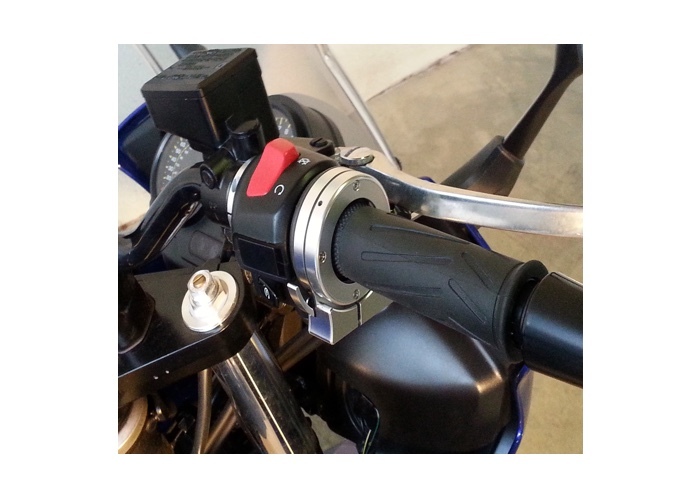 Support fits between brake lever mount and switch housing on 7/8” handlebar. 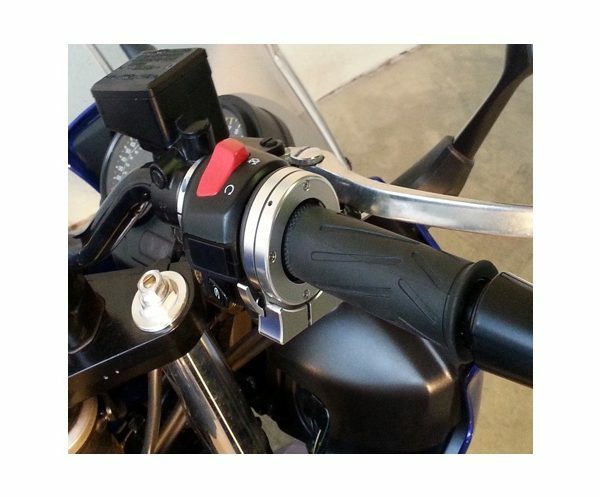 Requires moving brake lever over ¼” away from switch housing to create space for support. 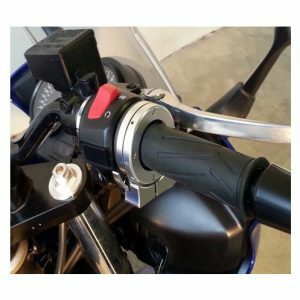 Not compatible with heated grips!